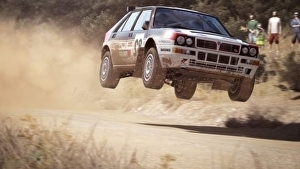 Codemasters has confirmed Oculus Rift support is coming to Dirt Rally 2.0 later this year.Initially, the team had only promised to “explore the possibility” of VR support if there was enough demand from fans (thanks, PC Gamer), but now it’s official as a cheeky tweet from the Birmingham-based studio showed an image of an Oculus headset besides a copy of the game. “We heard you. Oculus heard you. DiRT Rally 2.0 + Oculus = this summer… #RisetotheChallenge,” the tweet said,… Read original at Eurogamer — https://www.eurogamer.net/articles/2019-02-10-oculus-rift-vr-support-will-come-to-dirt-rally-2-0-later-this-year URL of source article.